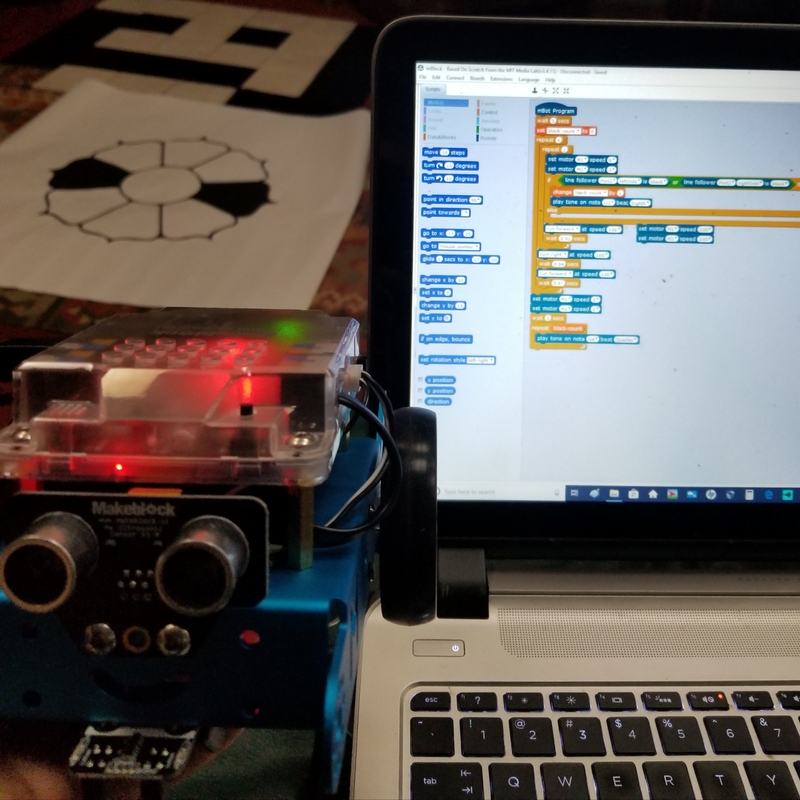 With Scratch you can program not only the games but also robots. 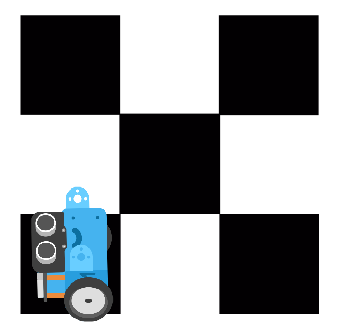 Robots can help illustrate some Scratch processes in our neighborhood games. 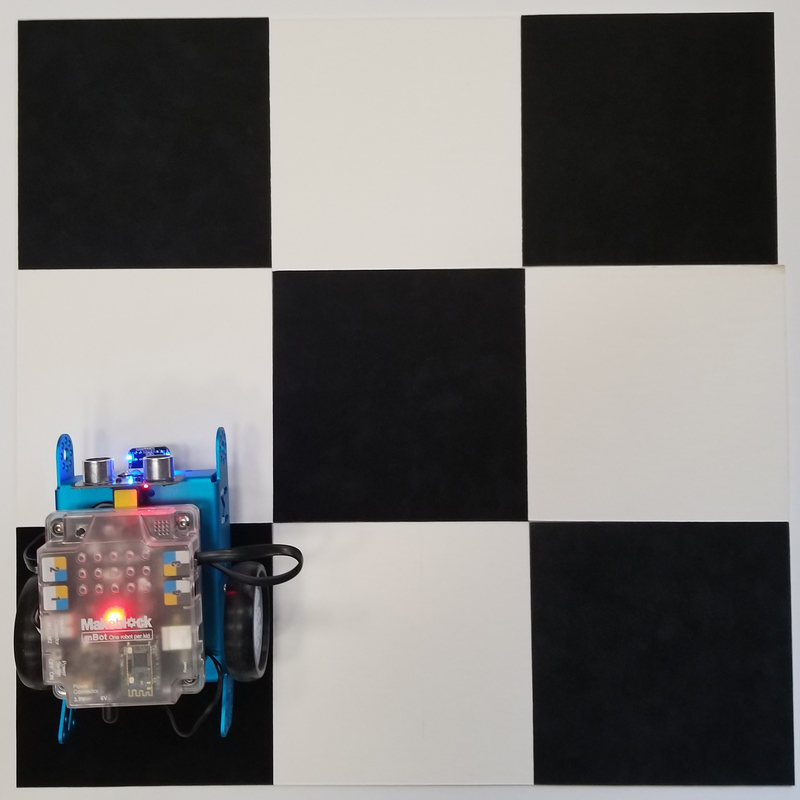 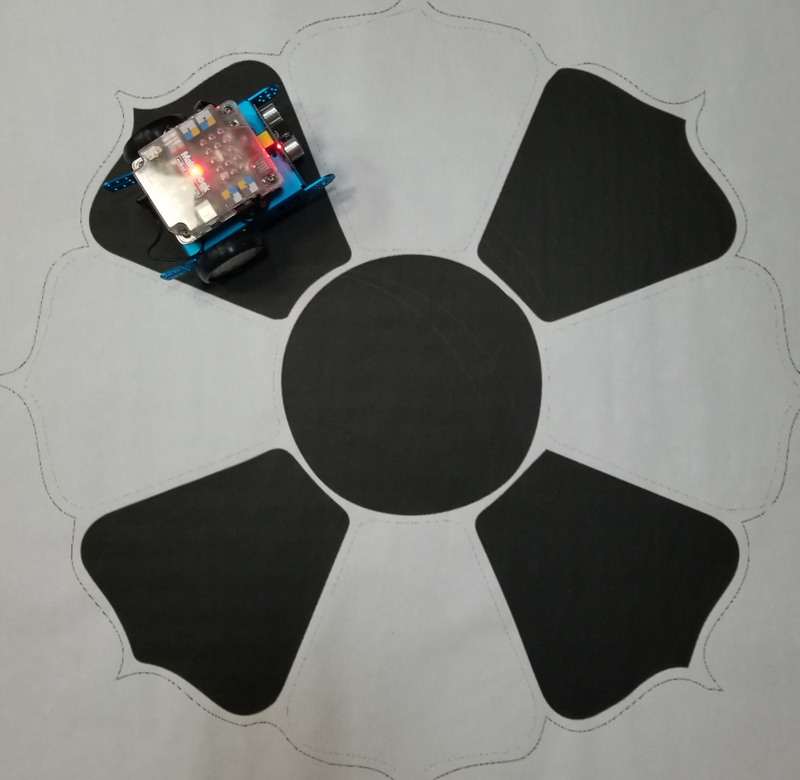 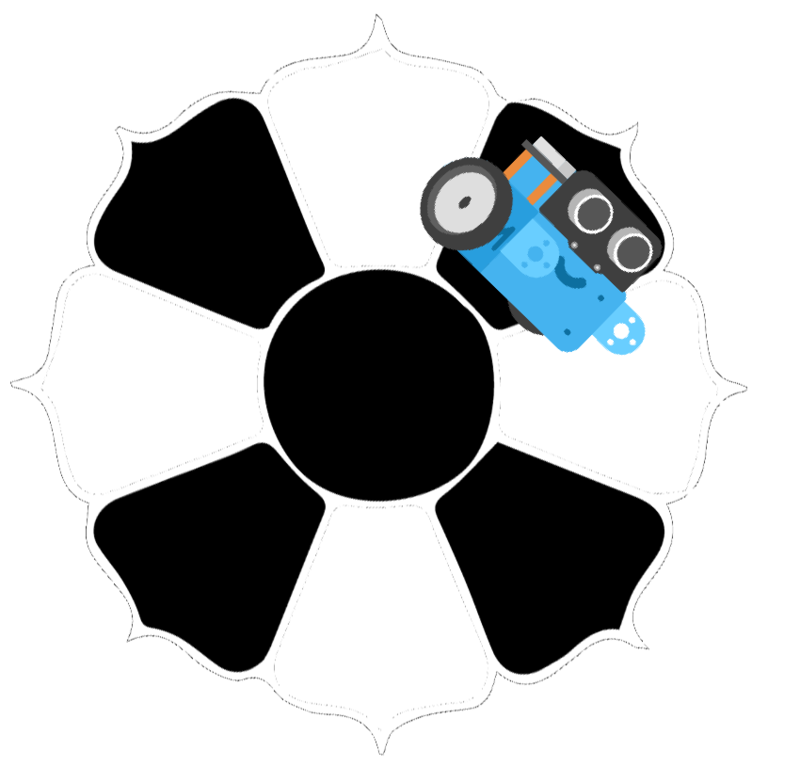 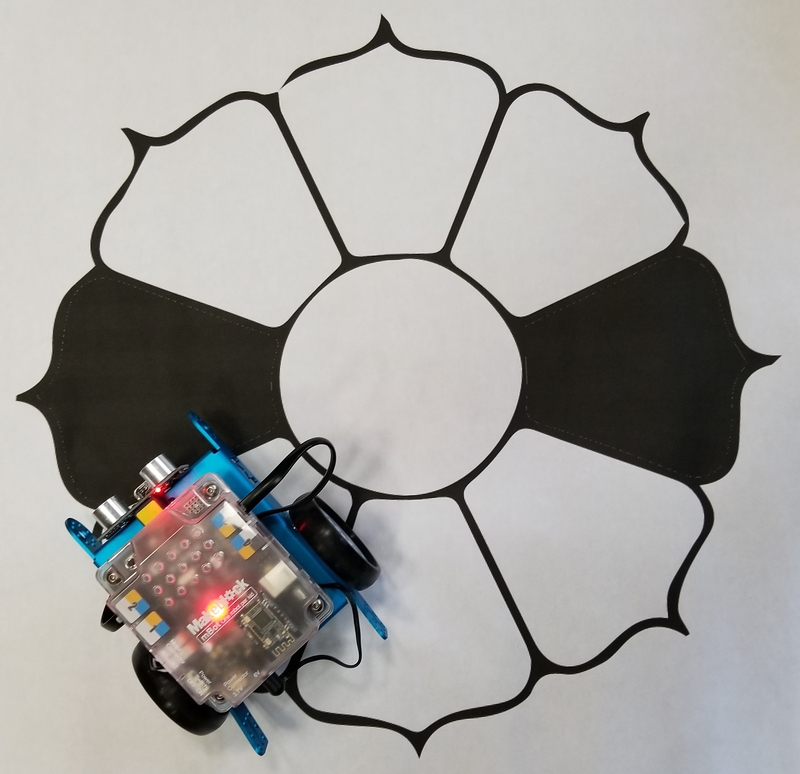 Because our games and patterns use neighborhoods, and the code of behavior is neighborhood based, we call the robots Neighbots (nbots), using makeblock mbots (shown in the pictures) or any other programmable robots.